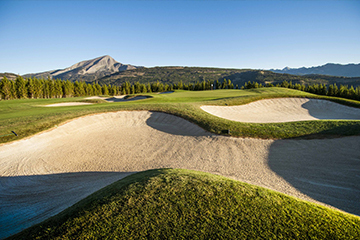 Yellowstone Club’s more than 15,200 private acres of land provide the ideal setting for Members to engage in myriad recreational activities during the summer. 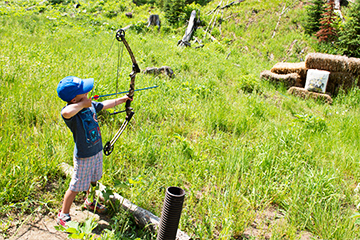 From shooting and fishing to hiking and horseback riding, you can explore a variety of ways to have fun and create cherished family memories. 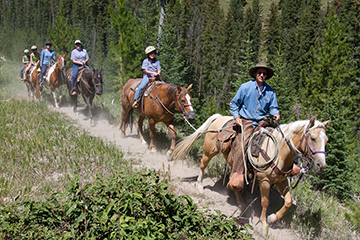 Horseback riding is a popular way to enjoy the beautiful scenery that surrounds Yellowstone Club. Our skilled outfitters can arrange a variety of riding experiences including guided day and overnight backcountry trips. The unflinching beauty of our private championship-caliber 18-hole mountain golf course creates a breathtaking backdrop for a round or two with friends and family. The Tom Weiskopf-designed course transforms his singular passion for high altitude terrain into a stunning mountain golf course experience. 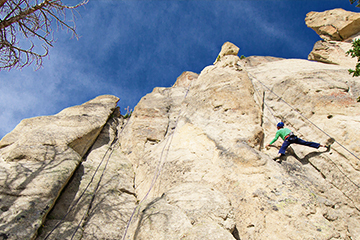 Yellowstone Club offers two different experiences for rock climbing: the Unlimited Climbing Adventure and Advanced Climbing Instruction. The Unlimited Climbing Adventure creates an exciting but safe opportunity for participants to explore up to four climbing routes on the Pinnacles. YC designed Advanced Climbing Instruction for those who have climbing experience and feel ready to learn the basics of lead climbing. Yellowstone Club’s Miller Pond is a great place to work on strokes and acquire the basic skills needed to safely and successfully navigate beginner whitewater. Sharpen your archery skills or develop new ones on our 3D archery course. Personalized instruction is available. 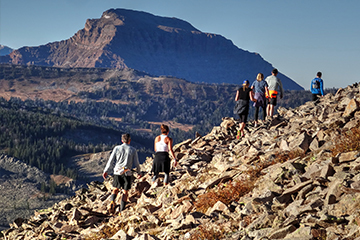 More than thirty miles of single-track hiking trails with stunning vistas, hidden meadows, and secret picnic spots beckon members of varying abilities and make it easy and fun for everyone to enjoy a beautiful day outside. Bike trails offer a variety of terrain and incredible views. 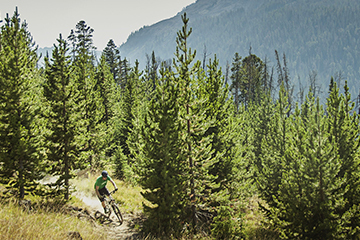 Shuttles are available to transport the biggest adrenaline junkies to the start of Yellowstone Club’s challenging downhill mountain bike course. 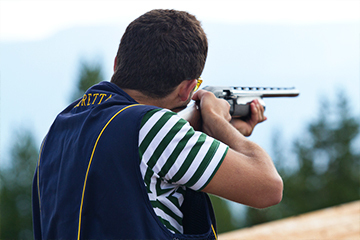 Try Yellowstone Clubs’ trapshooting course located on Eglise Mountain. You can participate in a morning or afternoon session of shooting instruction or a round of trap. Yellowstone Club’s idyllic setting has everything you need to take your pursuit of wild trout to the next level. 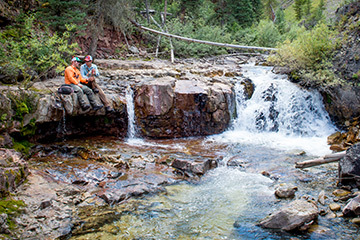 A local outfitter coordinates walk and wade trips for Members so that you can venture to the pristine rivers, streams and lakes of Yellowstone National Park and its surrounding area. Full day drift boat float trips are also available on the Madison and Yellowstone Rivers. An experience on the Challenge Course emphasizes risk taking in order to obtain outstanding results by establishing trust and emphasizing teamwork. 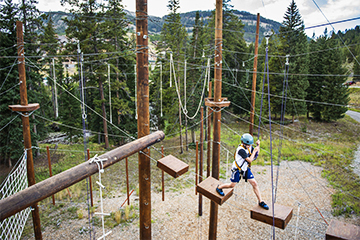 High rope elements include an 80-foot climb and rappel, gorilla rings, a centipede climb, catwalk, stump walk, and an auto zipline. 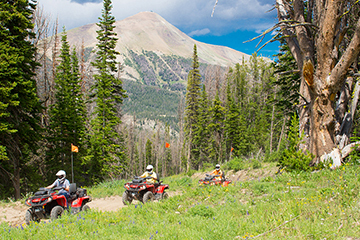 Daily guided ATV tours lead Members up Pioneer and Eglise Mountains. Enjoy the drive up the rugged terrain and bask in panoramic vistas after reaching the summit of either mountain. 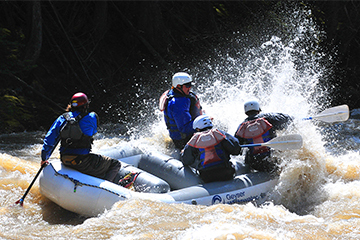 Soak up the beauty of the greater Yellowstone area while whitewater rafting down the Gallatin River. Regardless of whether an intense whitewater adventure down the legendary Mad Mile interests you or a mellow family float trip is more up your alley, fun on the river awaits. Enjoy Yellowstone National Park with a Yellowstone Club guide as they fill your day with fascinating stories and share their vast knowledge of the park with you. Sit back and relax amidst stunning views while your guide shows you the ropes and helps you identify amazing and numerous varieties of wildlife. Picnic by steaming geysers and enjoy colorful thermal features – one of Yellowstone National Park’s most well-known characteristics. Summer in Montana is a magical place for kids! From overnight camping experiences and educational field trips to multi-day summer camps, OP Kids offers adventures for children of all ages. Enthusiastic and caring individuals staff OP Kids; each staff member has extensive experience working with children and carries current first aid/CPR certifications. 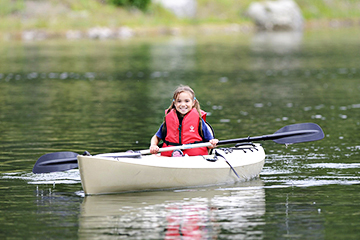 Under their guidance, kids can safely take advantage of the opportunity to make new friends, try new activities, challenge themselves, and gain an appreciation for the great outdoors.